- click to here to read the full story! 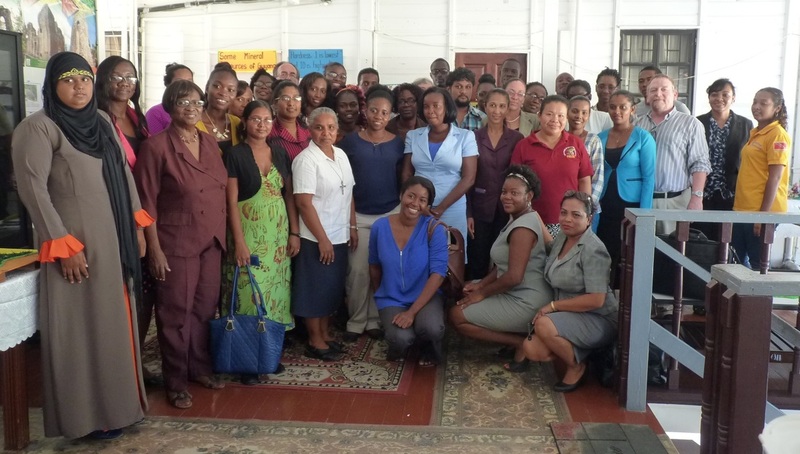 For three days The Sandwatch Foundation with the generous support of the Guyana Ministry of Education and UNESCO were pleased to hold a training workshop for more than 30 primary and high school teachers from around the country in the capital, Georgetown. April 2011: Sandwatch group gets involved with monitoring Hope Beach where there is a lot of beach debris. 2009: New group, Sandwatch Nature Club, gets going in Guyana. 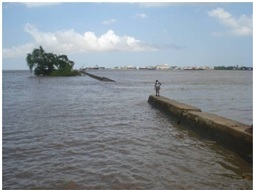 November 2008: ​Sandwatch group in Guyana prepare an article for the Sandwatcher on how Climate Change is impacting Guyana's coast. ​December 2006, Ms Paula Tulloch from Guyana attended the Regional Sandwatch Youth Symposium, held in Trinidad. ​June 2001: Ms Lorna McPherson from the Ministry of Education participated in the first Sandwatch workshop in St. Lucia.